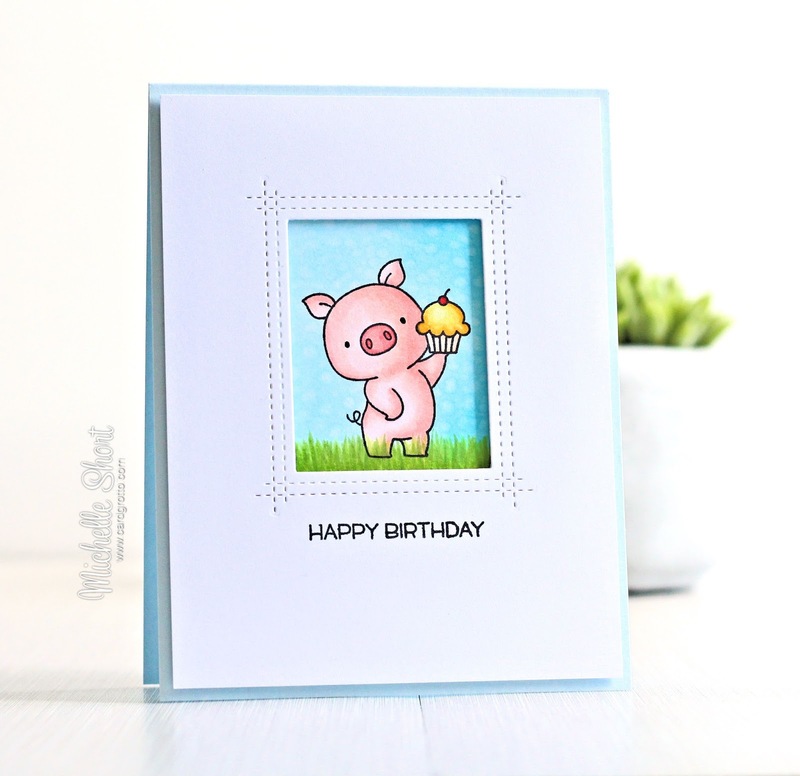 Hello there, Oh how I adore these piggies from MFT! They just put a big smile on my face. I am, of course, using the Hog Heaven set again, this time for a birthday card. I started off by taking a piece of white cardstock and cutting the MFT Rectangle Peek-a-Boo Window Die from it. I then took another piece of white cardstock, popped this behind and drew faint lines around the inside of the frame, to have a guide of where to stamp. 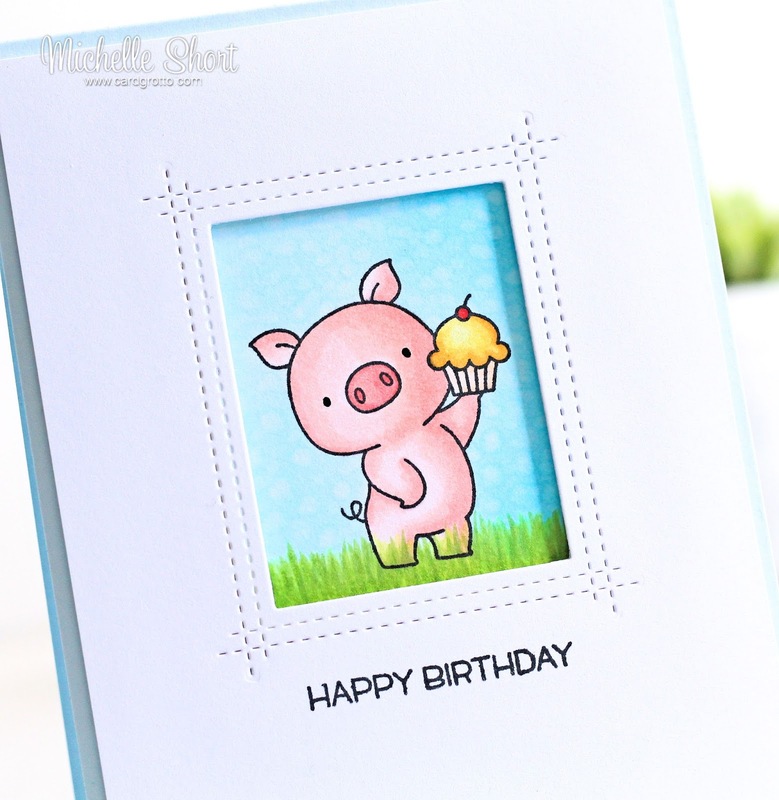 I then stamped the piggy holding the cupcake image on it using black ink. I coloured in the piggy with Copics, adding in grass and sky. Once I had coloured the sky, I went over it using the colourless blender pen to add little dots, just to give some texture and interest to it. 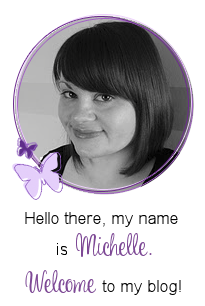 I then took the window panel and stamped the sentiment, from the MFT Things With Wings stamp set, on to it using more black ink. The image panel was adhered flat to an A2 blue card base and then the window panel added on top with foam tape. To finish off, I added black glaze pen to pig's eyes and clear Wink of Stella to the cupcake. COPIC MARKERS - Pig: R22, R21, R20, R30, R00, R000. Cupcake: Y17, Y15, Y13, Y11, R29, R24, E53, E50. Grass: YG17, YG23, YG03, YG01. Sky: B01, B00, B000, B0000, 0. Super cute card!! I love pigs!!! I love that frame also. Your coloring looks amazing as usual!!!! Love your adorable little pig...too darn cute! He's very cute, and I love the layout of the finished card!